For his first trip to Africa, Pope Francis is visiting Kenya, Uganda and the Central African Republic (CAR), from 25-30 November. The three countries all have predominantly Christian populations – Kenya about 80%, Uganda 85% and CAR 76% – with about 10% or so Muslim in each of them. But they have lots of challenges. 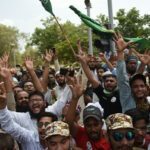 The peaceful cohabitation enjoyed by their religious communities for years has been shattered by frequent tensions due notably to religious intolerance, exacerbated by the influence of jihadist groups. The Pope’s visit comes days after the terrorist attack at the Radisson Blu Hotel in Bamako (Mali), which claimed 22 lives, including those of the two attackers. Two jihadist groups – the Massina Liberation Front and Al Mourabitoun – said they carried out the attack. Kenya and Uganda, the two East-African countries to be visited, are also facing terrorist threats. They have become a primary target for the Somalia-based Islamist group, Al-Shabaab, because of the presence of their troops within the African Union Mission to Somalia (AMISOM). In a message issued ahead of his trip, the Pope has described himself as a messenger of peace to the continent. In recent years Kenya has sustained a number of terrorist attacks. 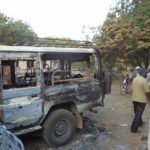 On April 2, 2015, some 148 students were killed in the attack on Garissa University College in the north-east of the country. The victims were almost all Christians who attended an early morning prayer meeting. In September 2013, 67 people were killed in the attack on Westgate Mall, a shopping complex in Nairobi, the capital. Uganda has also not been spared terrorist attacks. In July 2010, more than 80 people were killed in twin blasts in Kampala, the capital, as they were watching the Football World Cup on television. Al-Shabaab claimed responsibility. Al-Shabaab’s insurgency has also contributed to fueling sectarian violence in North-Eastern Kenya, alongside the Somali border. Homegrown extremists and militants crossing the border from Somalia are responsible for attacks against Christians and their properties. Churches in the coastal city of Mombasa have also come under increased threats and attacks from suspected Islamists. The area of Mombasa is, for instance, considered the stronghold of Islamist groups which often threaten the local Muslim clerics, who they accuse of being ‘moderate’. In neighbouring Uganda, there is also increased religious violence, though Christians and Muslims have lived peacefully together for years. For instance in May 2014, Ugandan and Kenyan authorities scaled up security in response to warnings from Western countries that Al-Shabaab was planning to attack churches in Uganda. Western countries such as Great Britain, the United States, France and Australia have issued travel advisories concerning Kenya, based on the threats from Al-Shabaab. The region witnessed its deadliest terrorist attack in 1998: the US Embassy bombings in Kenya and Tanzania. At least 200 people were killed and more than 1,000 injured following those attacks. In Uganda, the Pope will honour the memory of the 23 Anglican and 22 Catholic Ugandan martyrs, killed for their faith on the orders of King Mwanga II between 1885 and 1887. In the Central African Republic, the Pope’s visit will be focused on religious dialogue in a country torn apart by sectarian violence for more than two years. “I will come to you as a messenger of peace,” he said, in a pre-visit message, adding that a “peaceful co-existence” is possible. “Your dear country has for too long been affected by a violent situation and by insecurity, of which many of you have been innocent victims,” the Pope added. During his two-day visit (29-30th) to CAR, Pope Francis will meet the three top religious leaders of the country: Rev. Nicolas Guérékoyamé-Gbangou (the President of CAR’s Evangelical Alliance), Monsignor Dieudonné Nzapalainga (the Catholic Archbishop of Bangui), and Imam Oumar Kobine Layama (the President of CAR’s Islamic Council). 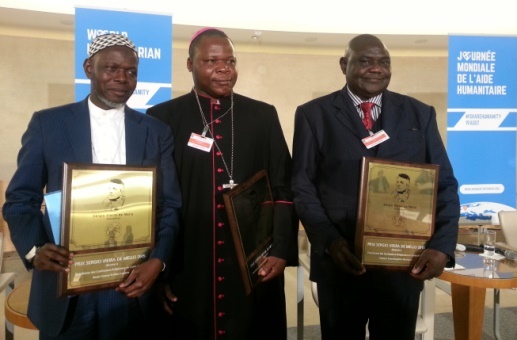 In the midst of the Central African Republic’s two and half years of violence, often portrayed as a religious conflict, the three clerics formed a joint ‘platform’ to promote peaceful coexistence between Christians and Muslims. Their message: violence in CAR is not primarily a religious conflict; instead, the root of the conflict lies in the struggle for political power. For their efforts, TIME Magazine named them among the 100 Most Influential People in the World in 2014, and the French Magazine Le Monde called them “the three saints of Bangui”. They were also awarded prizes for their peace efforts in CAR. The Pope is expected to hold a public mass and visits, despite security concerns. He will notably visit thousands of IDPs at Mpoko Camp, one of the largest IDP camps next to the airport. 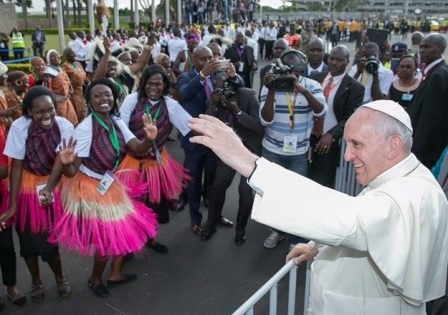 Pope Francis is also planning to visit a mosque at PK5, the main Muslim enclave, considered by many in Bangui as a stronghold of Séléka rebels, and a “no-go zone” for all non-Muslims.